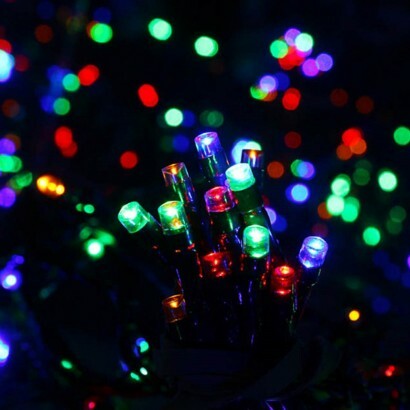 Enjoy a whopping 49.95m of colourful fairy lighting and illuminate your whole garden from one solar panel! 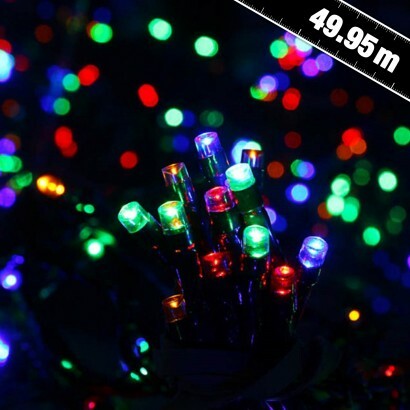 With eight modes including static, flash and fade, these decorative LED stringlights are all you need to add a touch of twinkle to your garden with multi coloured lights. Solar powered, there's no need for wiring, simply place the solar panel where it will receive maximum exposure to light and these decorative solar lights will sense darkness to automatically switch on at night for fantastic garden lighting.